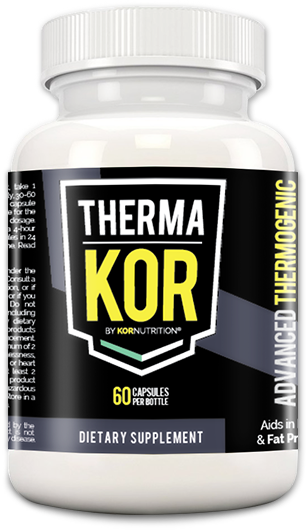 Thermakor is a powerful thermogenic-enhancing supplement for burning fat. Thermakor is specifically formulated to target the 4 key factors of weight loss: Appetite, Fat Storage, Energy, and Metabolism. Descriptions of what each ingredient does are located on our ingredients page. But in short, Thermakor improves weight loss results by increasing your basal metabolic rate, thereby increasing your overall energy expenditure, allowing you to burn more calories throughout your day. When is the best time to take Thermakor? Take 1-2 capsules, twice daily between meals. Take 1 serving first thing upon waking in the morning. If you are sensitive to caffeine, do not take within 6 hours of bedtime. Dietary supplements are not subject to FDA approval and undergo FDA review only if new ingredients are introduced. The manufacturer is responsible for testing the safety and effectiveness before marketing a dietary supplement. Thermakor meets are FDA regulations and quality standards for dietary supplements. Take 1 capsule, twice daily between meals (1 serving first thing in the morning), to assess caffeine tolerance. Then, increase to 2 capsules, twice daily. If you are sensitive to caffeine, do not take within 6 hours of bedtime. Are there side effects to Thermakor? As with all supplements, side effects are possible as everybody responds differently to different ingredients. The nature of a supplement is to provide the body with natural nutrients and to enhance natural processes. Therefore, negative side effects are rare. However, due to having caffeine, this supplement can possibly induce an increased heart rate and “jittery” feeling due to increased energy. In very rare events, such supplements may induce nausea. Do not take if pregnant or nursing. Consult a physician before use. How quickly with Thermakor ship? USA orders take between 3-5 days for standard delivery. Expedited options available. * International orders may take up to 2-3 weeks for standard delivery (USPS tracks only within the United States and then transfers parcels to the national postal system of the receiving country). Expedited options available. * For same-day departure, place your order before 10:30AM EST. We take great pride in the quality of our product and we’re confident that Thermakor is the most effective and powerful weight loss supplement on the market. 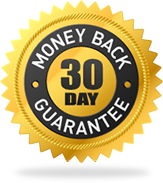 We are so confident in its efficacy that we proudly offer a 30-day money back guarantee. This way, you have nothing to lose except for those excess pounds!